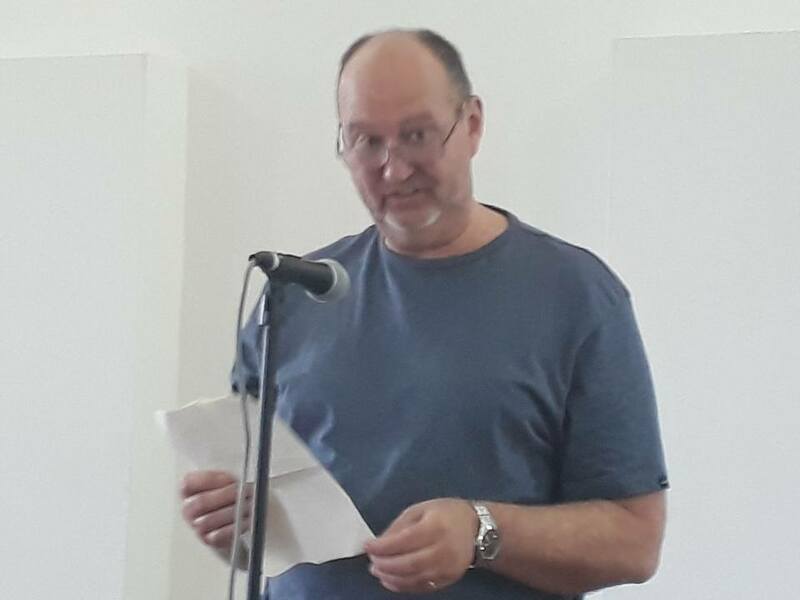 A large gathering of OOTA writers and friends squeezed into the Pavlich Room at the Fremantle Arts Centre on Saturday 21st October to attend the group’s Annual General Meeting and 20th Anniversary celebrations. With the formal part of the agenda completed by noon, members and guests enjoyed an informal lunch before Simone McGurk MLA opened the anniversary celebrations. 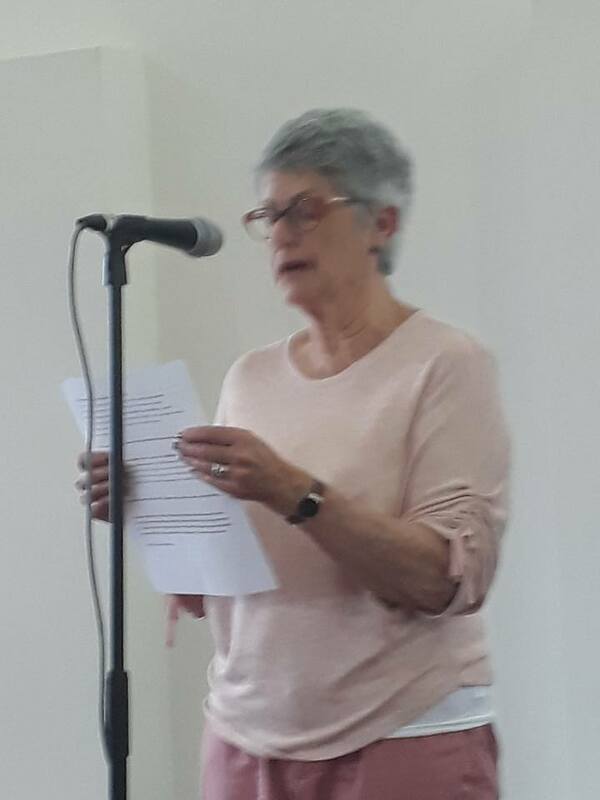 Simone paid tribute to the custodians of the land past and present, and to the creativity and energy of local groups of writers, poets and artists, challenging us to use our writings to speak for those who, for whatever reason, find it hard to make their own voices heard. Simone was followed by the 11 shantymen of The Lost Quays, who entertained us with a selection of traditional shanties, including the beautiful and haunting “Shallow Brown”, which tells of a slave, jumping ship to escape being sold, lamenting his lost love Julianna. 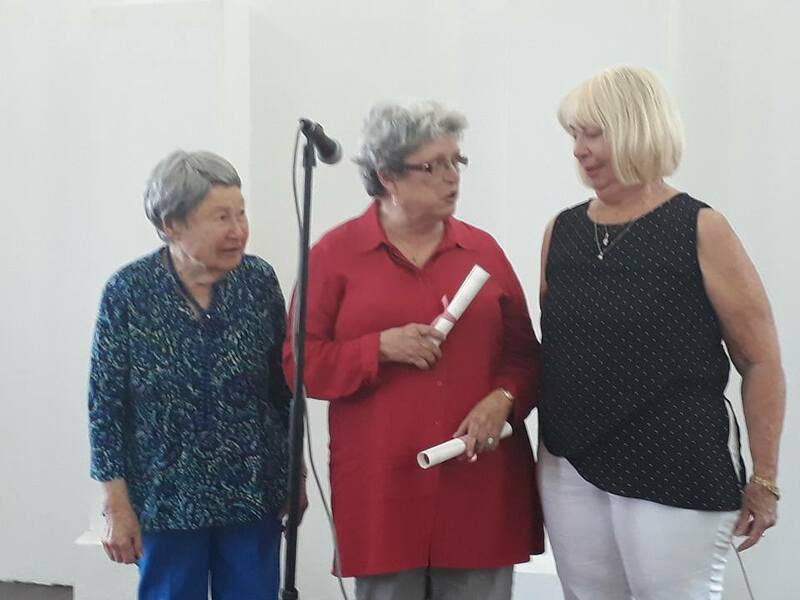 After the music, OOTA Secretary Liz Hearnden awarded Honorary Life Memberships to Mary Jarzabkowski and Helen Hagemann. 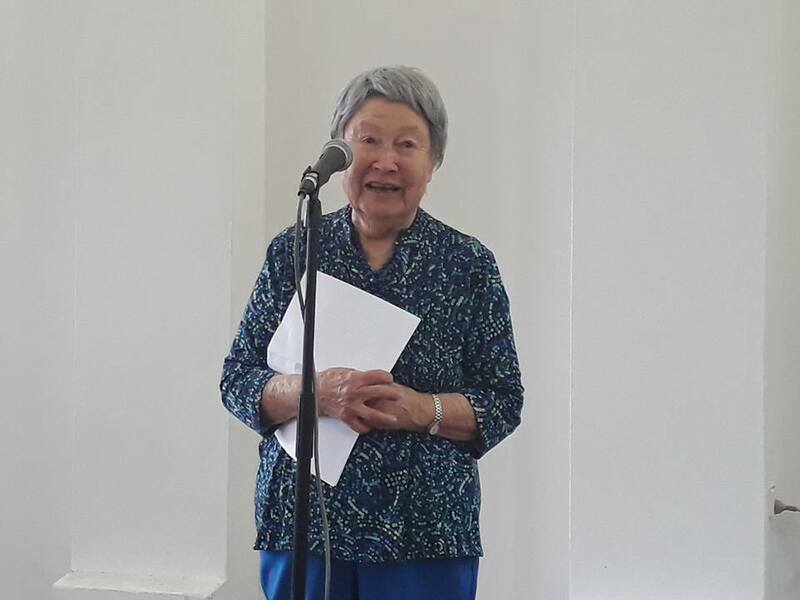 At 91, Mary is our oldest member but she is an active and dedicated writer who has self-published her autobiography and regularly entrains us with her short stories, most of which are drawn from her own varied and extensive experience. 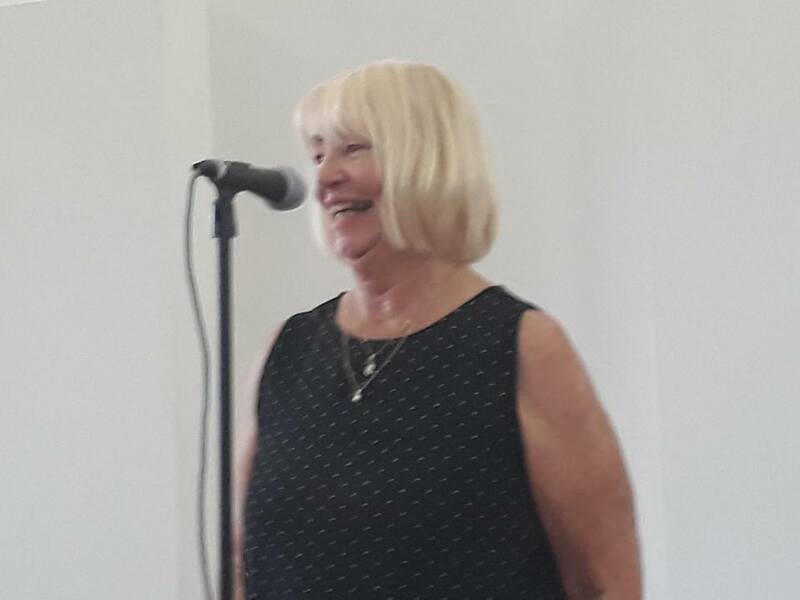 Helen is a former committee member and President, and is our prose tutor, conducting fortnightly workshops and critiquing classes, which, over the past ten years, have helped dozens of our members hone their prose writing skills. Following the awards we were treated to readings of prose and poetry by Mary Jarzabkowski, Carolyn Abbs, Helen Hagemann, Shane McCauley (who recently celebrated his 300th poetry class for OOTA) and Julie Watts, who read the beautiful and moving “The story of Julian who will never knew we loved him”, the winner of this year’s Blake Poetry Prize. The afternoon was completed by three readings by OOTA mentees Kate Bennett, Jayden O’Neil and Shamina Rozario. The readings, including both prose and poetry, were insightful, thought-provoking and humorous, and affirmed the young writers as being an integral part of a writing community prepared to share their passion, skills and knowledge. You can read some of Shamina's work here. OOTA mentee Maddie Godfrey was unable to join us but you can read her poem "Three Winters" here. "Three Winters"was highly commended in the 2017 Queensland Poetry Festival's PHILIP BACON EKPHRASIS AWARD. You can read more of Maddie's work here at https://www.scum-mag.com/porcelain/ and on her website www.maddiegodfrey.com. Maddie's first poetry collection, “How To Be Held" will be published by Burning Eye Books in May 2018. 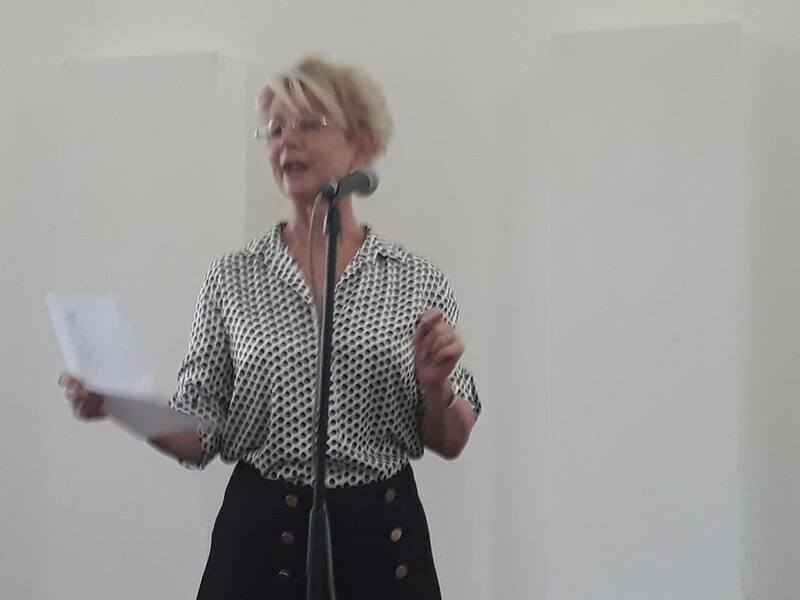 OOTA expresses its thanks to Simone McGurk, “The Lost Quays” and the Fremantle Arts Centre, and to all the readers and participants who helped ensure the success of our anniversary celebrations. The Hon. Simone McGurk MLA BA is the WA State Member for Fremantle and Minister for Child Protection; Women's Interests; Prevention of Family and Domestic Violence; Community Services. “The Lost Quays” is a Fremantle based 11-voice male choir dedicated to singing shanties and other songs of the sea. A sea shanty (or “chantey”) was traditionally sung by sailors while labouring together aboard sailing ships. These songs are rhythmic and energetic, but are simple and easy to learn, making them ideal for audience participation. They can reveal interesting insights into seafaring history. Older PostOOTA PRESIDENT WINS 2017 BLAKE POETRY PRIZE.